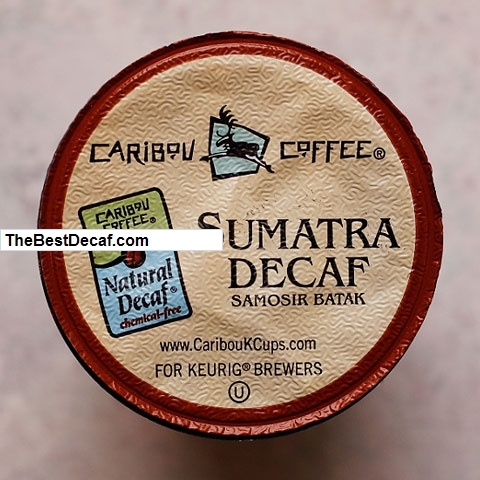 Coffee: Caribou Coffee Sumatra Decaf Samosir Batak, Natural Decaf K-Cup coffee. Uncle Bob’s Review Notes: I’ve been drinking Caribou’s decaf Sumatra (k-cup) coffee for over a month now, and frankly I’ve had enough of it. It’s not bad. But that’s all it is… not bad. I started with the 8oz Keurig brew setting, and found the coffee to be to weak for my tastes. I went lower, but didn’t notice any improvement. So I went to a full mug, and honestly didn’t notice any significant weakening despite the additional 3 ounces or so of water. That suggests (to me) that the coffee is just lacking in character. So I’ve been drinking it with the mug brew, adding just a touch of whole milk (my typical coffee preparation) all month. Is it a bad choice for decaf coffee in a k-cup? Nope. But it’s not great, either. I’m not sorry I bought it, I won’t buy more of it. It is better than Newman’s Organic decaf, which I actually don’t like, and it’s better than Emeril’s Jazzed Up Decaf (which I find to be bitter). However, not being as bad as others I don’t like is not a high rating for a decaf coffee in a k-cup. The Keurig is a nice machine, and I will continue the quest for high quality, great tasting, reliable decaf coffee packaged in a k-cup that I can enjoy every day.